It was as if the great experiment had come to an end. The coach known for his “rotaciones” sent the strongest possible starting 11 to the field against the European champs. Several key players had played 3 official matches in row. In a row. More importantly, Mexico was able to salvage a massively important draw with Portugal. Could it be that the universally unpopular policy of egregious player swapping had finally run its course? 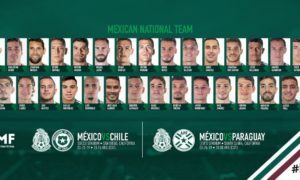 Mexico coach Juan Carlos “Shaft” Osorio decided to make 8 changes to his lineup vs New Zealand. 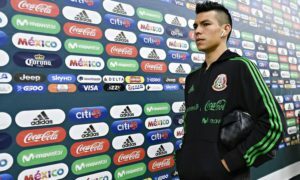 It was a huge gamble that very nearly backfired spectacularly, were it not for designated Kiwi-killer Oribe Peralta. The venerable Mexican striker added to his tally against the Oceanic representatives in Mexico’s less than impressive 2-1 win in Sochi. Much like the 2 qualifiers that preceded the tournament, the result of the first game had a direct result in how Mexico would play the second. To refresh your memory, Mexico’s 3-0 defeat against Honduras took the pressure off the need to get a mandatory win in the US game. 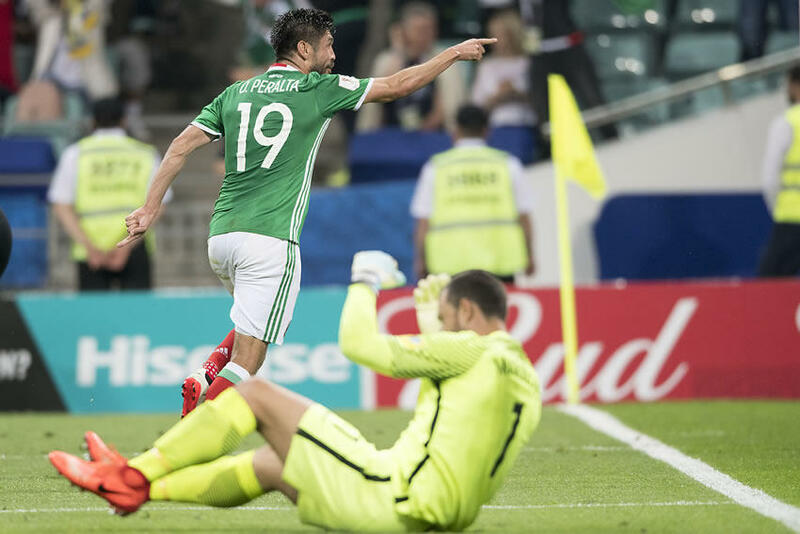 Mexico’s extraction of a point against Portugal, coupled with Russia’s loss against the same meant that Mexico would need only a win against New Zealand. There would be no tie-breakers needed against Russia. Let’s give the starters the day off, then, and have them refreshed for the Russia match. Let the backups eat this cupcake. For those of you who have been reading my columns for the past 10 years or so, you would know that one my underlying themes is that Mexico is a good team, that can be great, but are far too inconsistent. In other words, Mexico is not good enough to take anyone lightly. Ever. And that is with the starting XI. Juan Carlos Osorio came very close to learning this lesson in the worst way possible. It was a huge gamble, that luckily for him, paid off… barely. Osorio was sitting on 19 and said “hit me,” and got a deuce. Even though Mexico won the match and is currently sitting in first place in the group, Osorio is still on thin ice. I mentioned in my last column that style points were going to matter if Osorio did not guide Mexico out of the group stage. 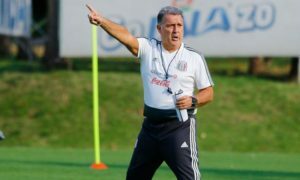 A loss against the Russians would ratchet up the PSIs in the crock pot, especially considering that the overwhelming majority of the Mexican press have been against Osorio since his introductory news conference. If Mexico is able to get one of the two desired results with what would appear to be a fresher team against the tournament hosts, then Osorio can tell the locals that he will see them next year. If not, then Osorio will be watching his back for remainder of his tenure, however long that lasts. And the folks who say they’ve got his 6 will start to make themselves scarce.